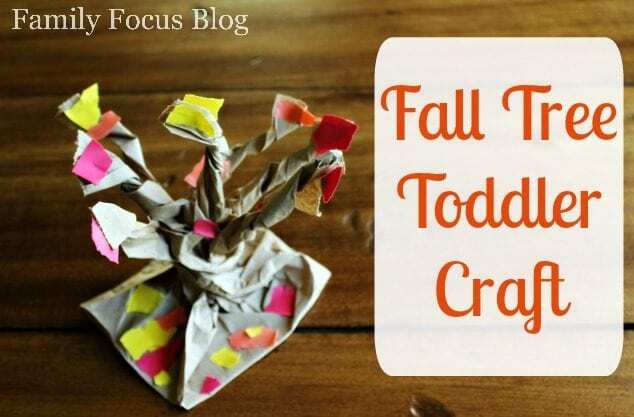 The weather turning cooler means that the little ones are inside more than they are out and that means finding more toddler friendly crafts for them to do. While they love to finger paint and do messy crafts, sometimes I need a craft that is easier and doesn’t involve so much clean up. 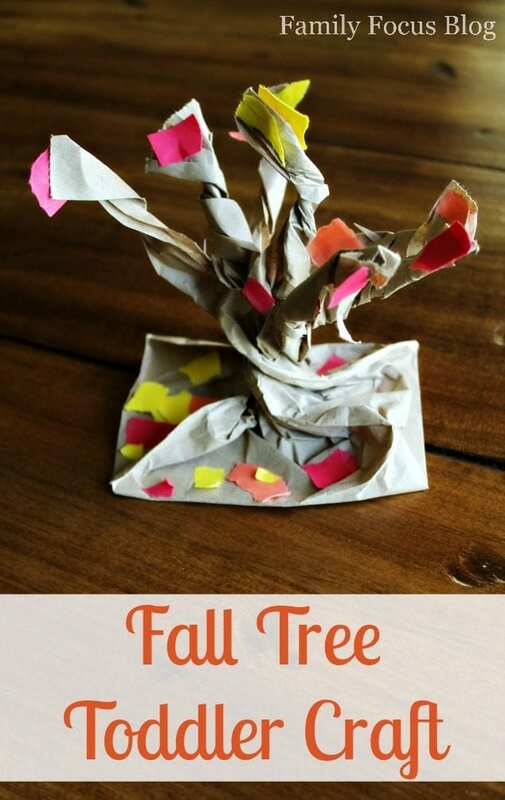 This Fall Tree Toddler Craft is so fun and easy. 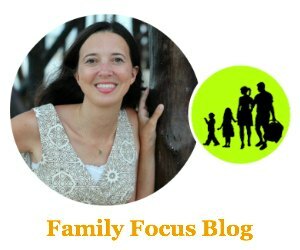 Depending on the age of your child, or children, you can let them do all the work or you can do some of the prep work ahead to make the project even easier. 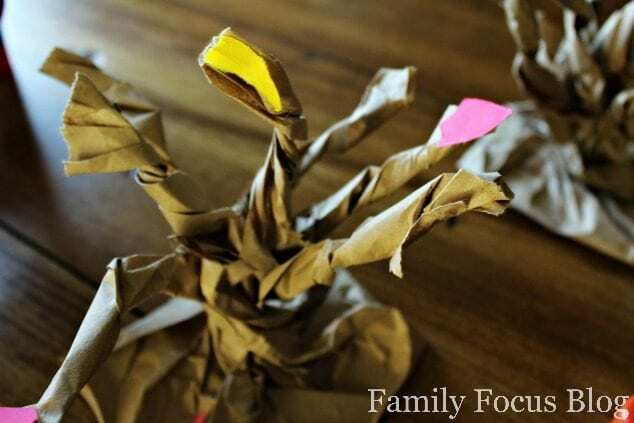 Either way, it’s a great fall preschool craft that is lots of fun and perfect for this time of year as they get to make a 3D tree with fall foliage! 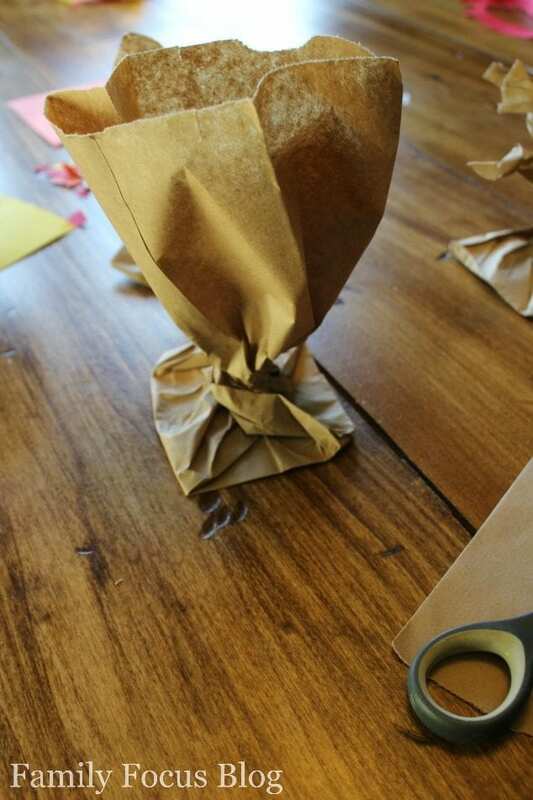 Open the paper bag and twist it shut just above the bottom to create the base for your “tree”. Your toddler may need help with this part to make a 3D tree base that is solid. 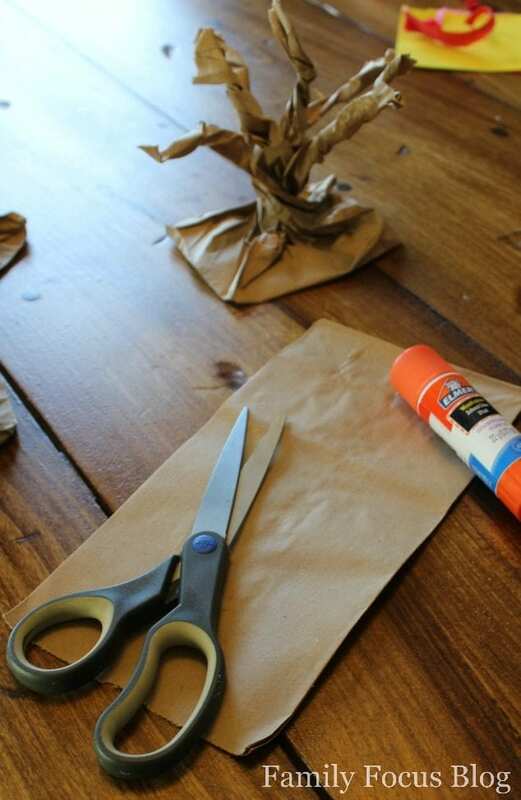 Depending on your child’s age either assist them in cutting the top of the paper bag into strips or pre-cut the bag. After the strips are cut have your child twist each strip to create tree branches. 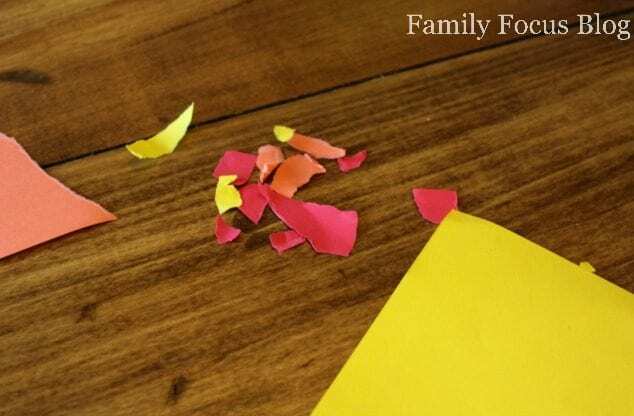 Next have your toddler tear the colored paper into small pieces to create leaves. If your toddlers are too young to do the tearing part you can cut pieces or tear the pieces up ahead of time. They should have several leaves of each color to glue to the branches and even to add to the ground underneath. They do not need to be perfect leaf shapes because this is a toddler craft. 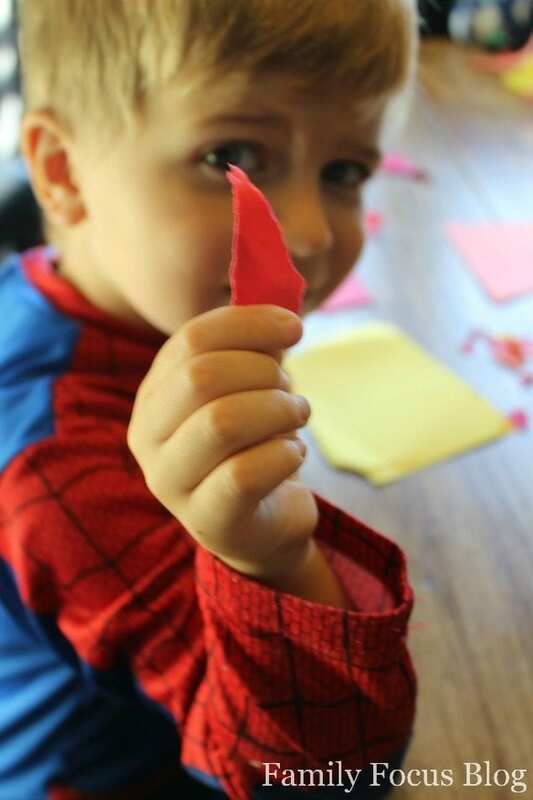 If you are working with older children, they could use scissors to cut the paper into actual leaf shapes or you could even use a paper punch in a leaf shape if you have one. Once there are several pieces torn and ready begin gluing them to the tree with a glue stick. Again, depending on the age of your child, you may need to assist them with this step. Once the leaves are all glued on set the tree aside to allow the glue to dry. 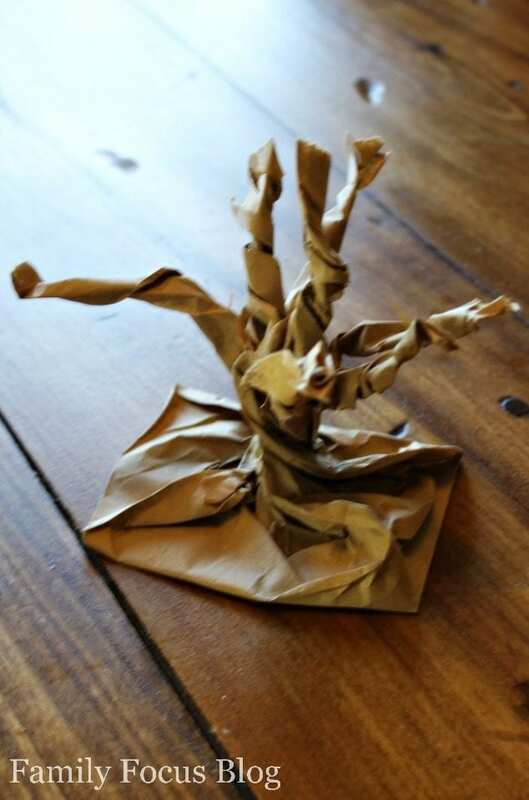 When the glue is dry the tree can be displayed as part of your fall decor! I hope you kids enjoy learning how to make a 3D tree. This is a great fall preschool craft for talking about the change of seasons and why leaves fall off of trees in autumn. You may also enjoy this tutorial for how to make fall pencil toppers with your children.